I have upgraded my MacBook Pro (13-inch, Early 2011) by replacing the old RAM (2x4GB) with new RAM (2x8GB). Here are the steps that I followed: MacBook Pro: How to remove or install memory. I also took some photos to document the process. Our cities are filled with an invisible landscape of networks. This project explores the invisible terrain of WiFi networks in urban spaces by light painting signal strength in long-exposure photographs. 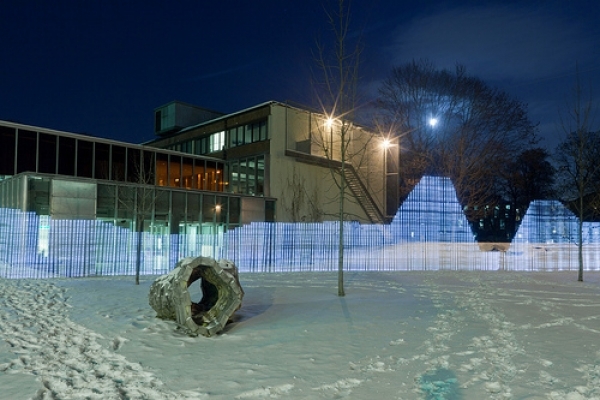 A four-metre long measuring rod with 80 points of light reveals cross-sections through WiFi networks using a photographic technique called light-painting. Two waves of solar material blown out by powerful sun eruptions n this week are hitting the Earth now, and could amplify the aurora displays for observers in northern regions. Good chances in Ålesund as well!